Two heavy duty hollow shaft shall be welded to the jacket and this shafts shall be supported on the stand through bush bearing. The stand shall have four legs and these legs will have footings for grouting in the foundation. The material of the stand shall be of s.s 304. 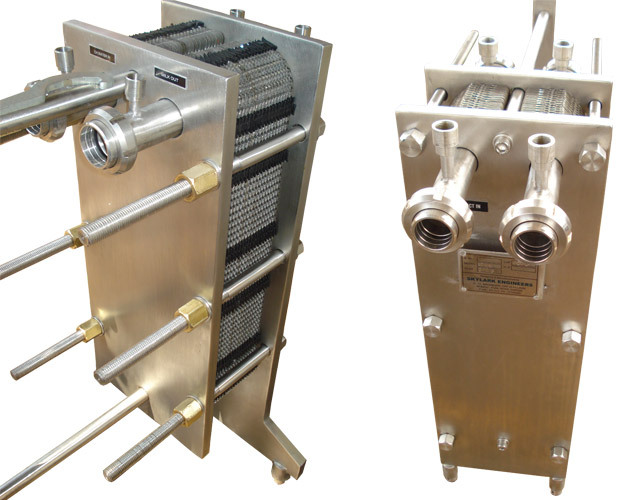 Heating shall be provided to the pan by feeding live steam at 2 to 2.5 kg/ sq-cm to the jacket and the condensate shall be discharged out from the bottom most part of the jacket and it shall be complete with steam trap and by-pass valve. Shall be minimum and party to specify the same. 20 seconds, in pipe tubes. 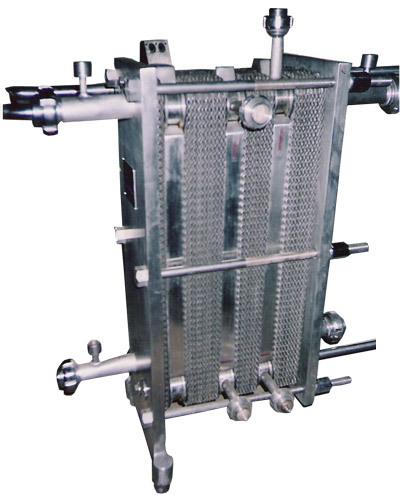 Foodgrade quality NBR capable of withstanding high temp . of 80 degree C. & 2 % caustic solution. For all inlets & outlets of PHE and each pocket shall be provided with s.s. guard of at least 200 mm length and glass thermometer. The supporting frame shall be of self supporting type. The frame & pressure plate of the unit shall be cladded with ss 304 and will be provided with adjustable ball feet. The inlets & outlets in each section for products as well as services shall be provided with complete SMS unions. One no. bolt tightening spanner. For 5,000 LPH 63.5 mm x 250 mm long. For 10,000 LPH 70 mm x 250 mm long. 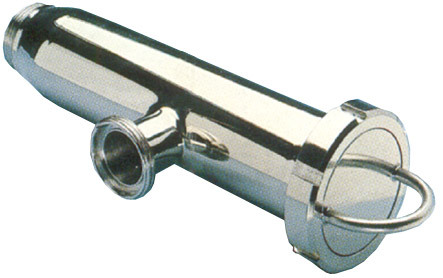 S.S 304 grooved blank size -76 SMS fitted at opposite to the inlet end for easy removal of filtering element for cleaning. 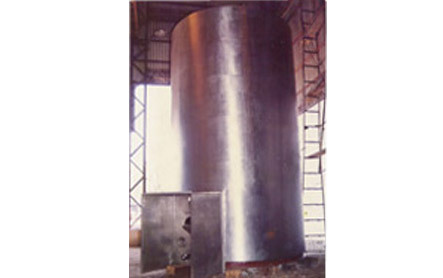 Tank can be fabricated for installation outside or inside. if furnished for outside installation, a stainless steel alcove opening into the processing area is available. 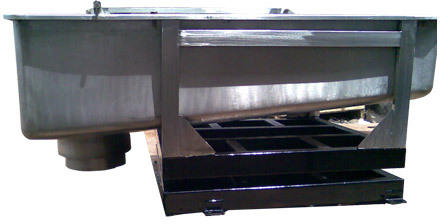 Flat pitched bottom construction with its network of bracing welded to bottom. ank can be equipped with mechanical agitation or air agitation. Provision for mounting level transmitter. The outlet valve will be mechanically operated from the reading position. The valve will be complete with disc, gasket, s.s. chain for hanging valve .